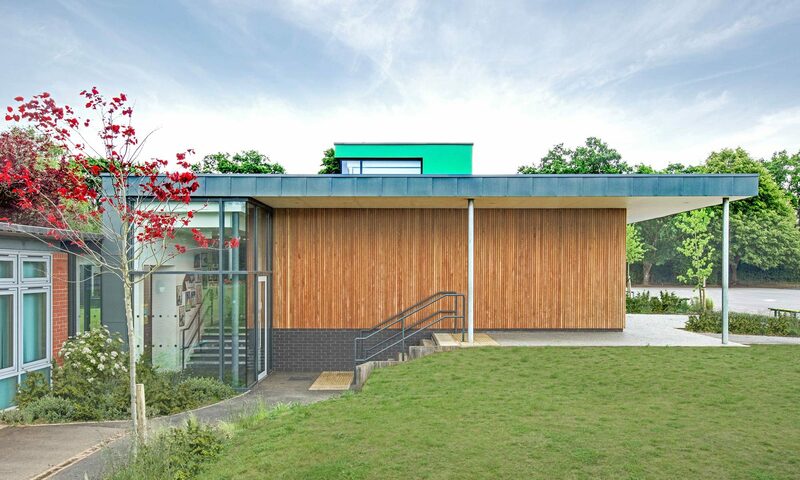 This elegant extension to an existing SCOLA built junior school has been designed in conjunction with HCC Architects Department. 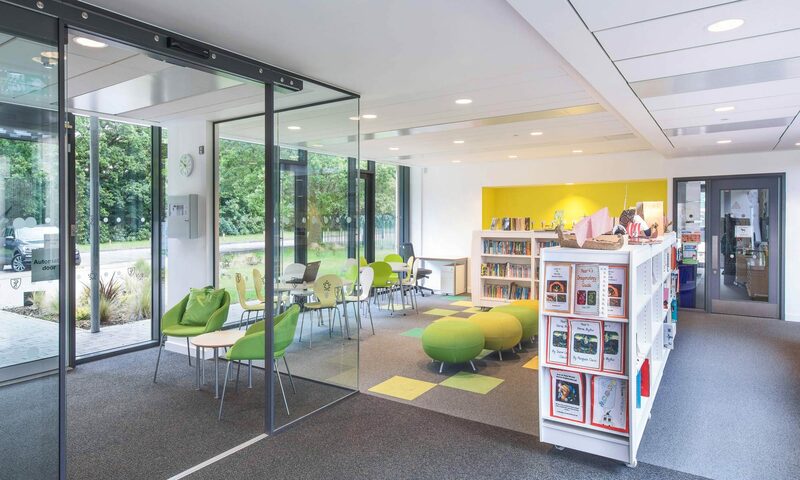 A significant change in level between the extension and the original school has been utilised to provide a new entrance and learning resource area at the same level as the existing car park. 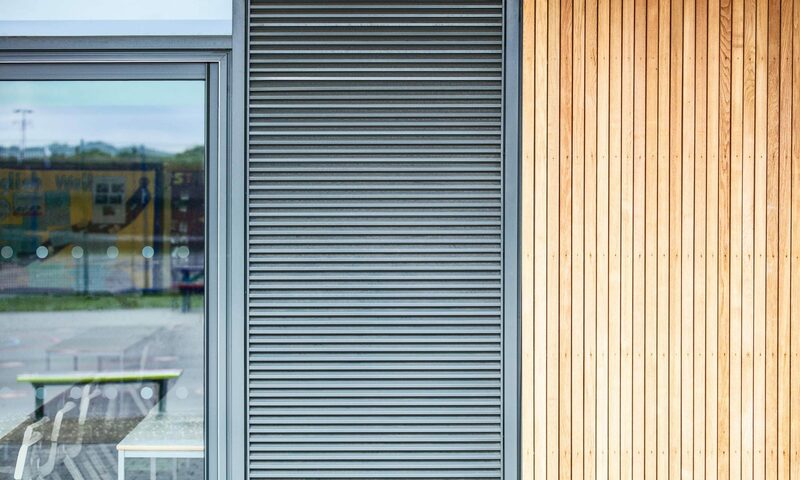 This has resulted in a dynamic approach with increased visibility to and from the new entrance that significantly improves the school’s presence within the community. 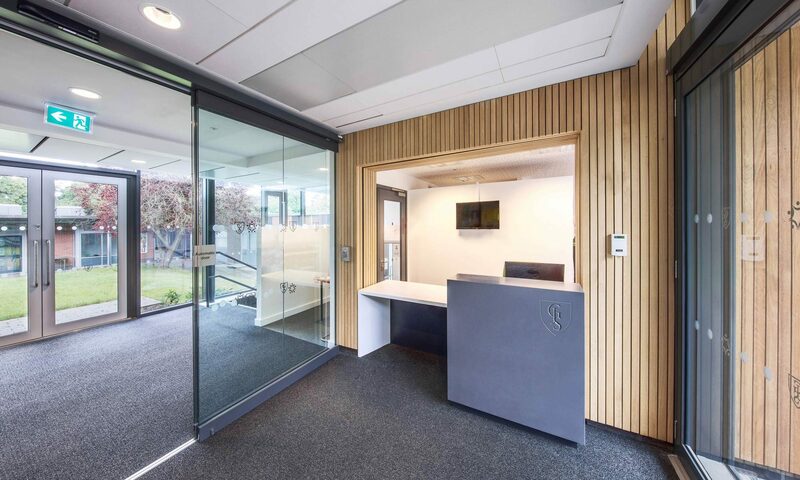 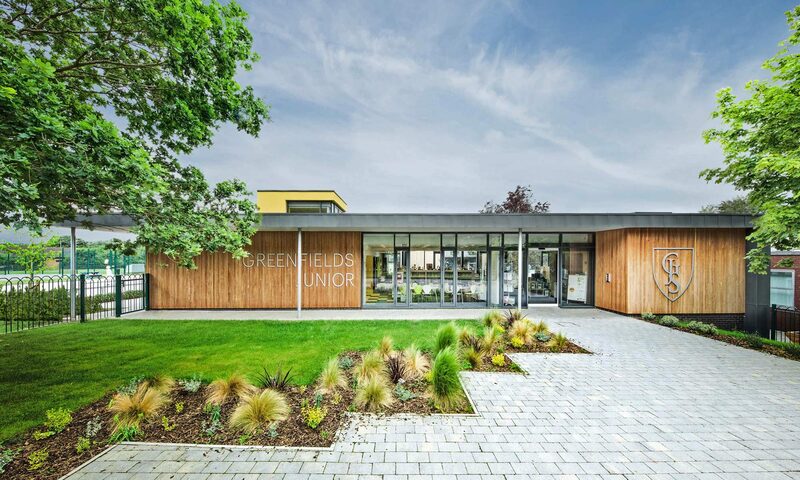 The teaching accommodation has been located to create a landscaped secure courtyard with floor to ceiling elevations of glass and timber under a unifying flat roof extended to provide solar shading and shelter. 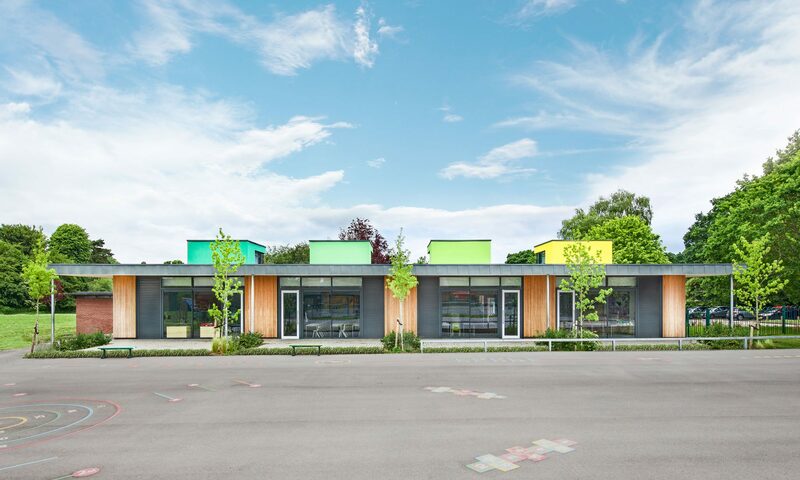 Four large lanterns provide colour as well as light and ventilation to the classrooms. 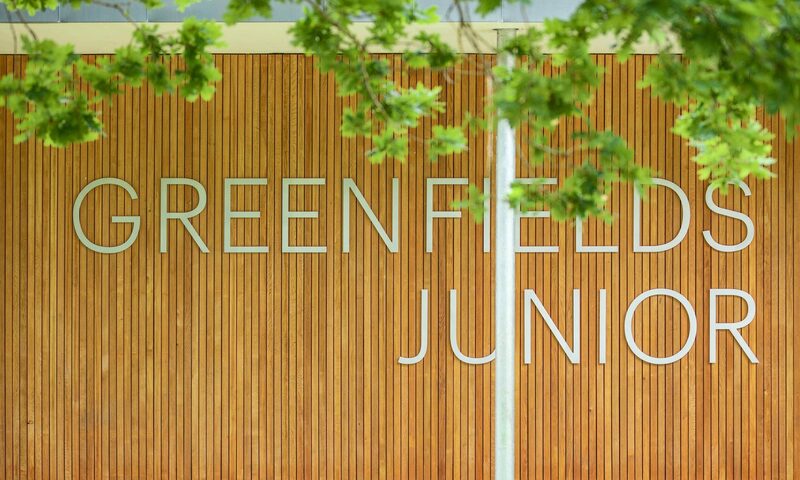 I can honestly say I am elated with the overall building and would like to personally thank our architect, who has put his heart and soul into the project and huge amounts of energy to ensure we have this wonderful building ready to look forward to the next 40 years of Greenfields Junior. 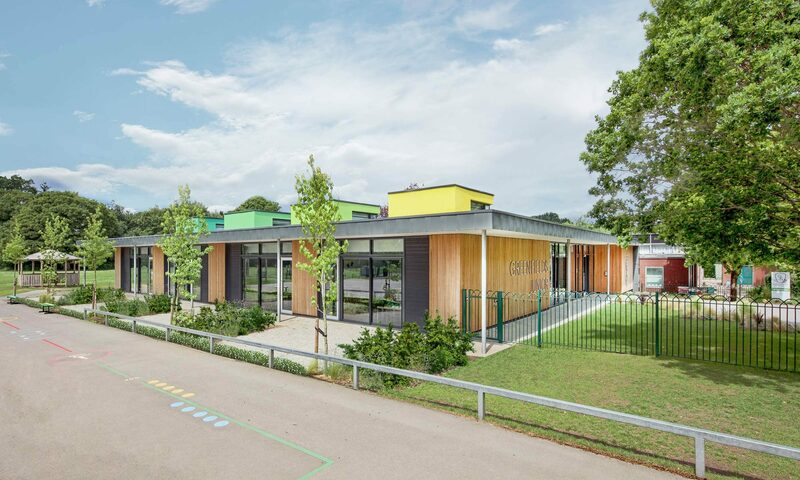 The children’s responses have been wonderful, “awesome”, “I love it” and “It’s so cool”.